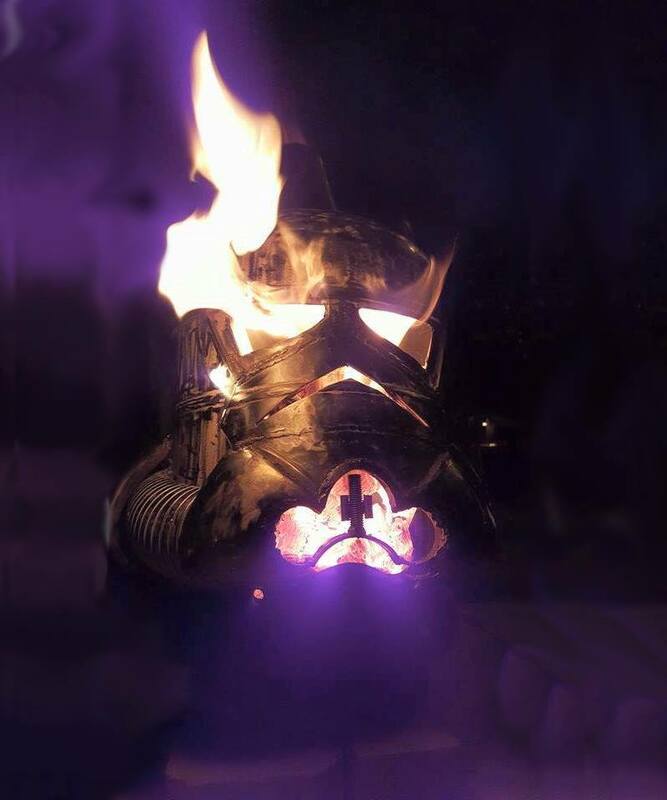 The force doesn’t officially awaken until December 2015 (when the new movie drops), but in the meantime, Star Wars fans all over the world can geek out with these epic outdoor fireplace designs inspired by Star Wars, The Lord of the Rings, Terminator and more. 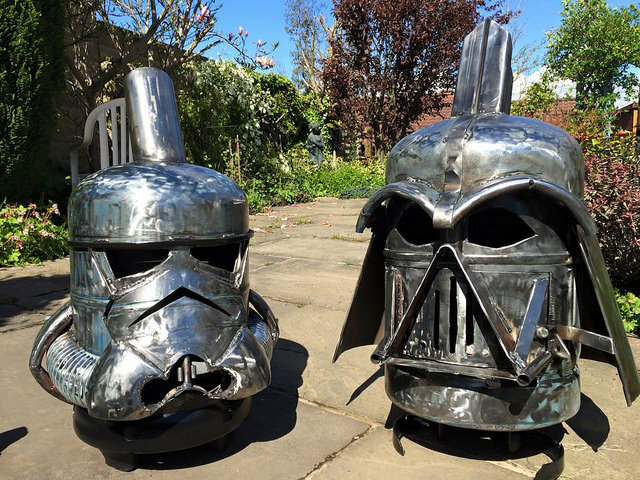 Alex Dodson, a schoolteacher in England, is the creative force (pun intended) behind these cool fire pits. 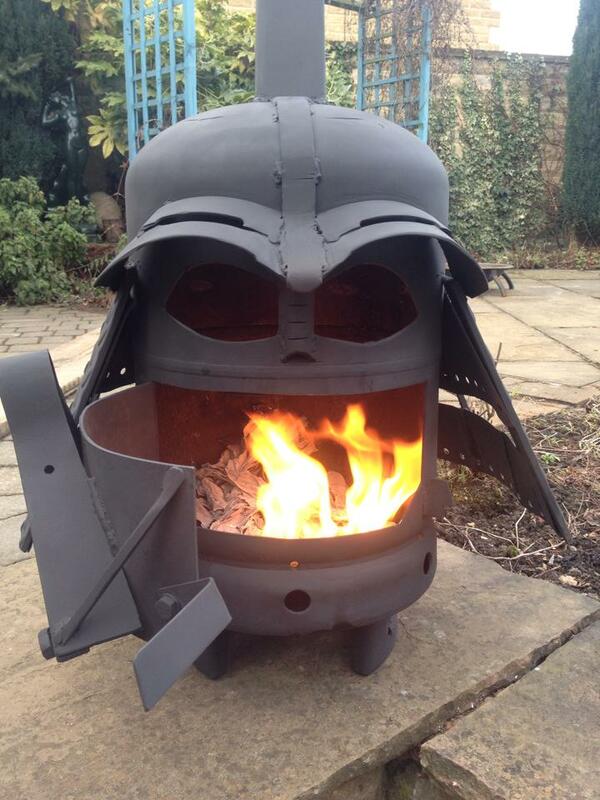 He handcrafts the creative wood burners from old LP gas cylinders. 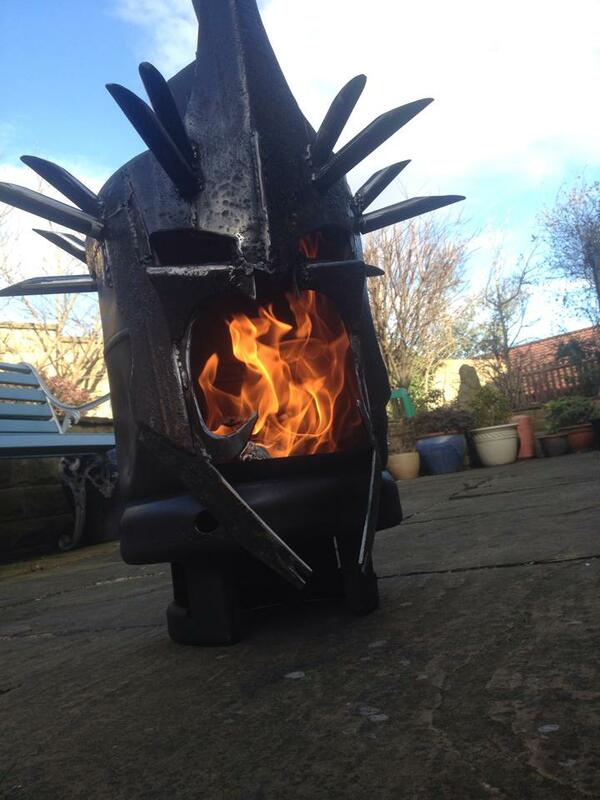 And voilà, they become fierce and fiery stoves. The magic happens in his spare time, so be patient when you order one from abroad. Besides Darth Vader, Dodson has also made Boba Fett, Storm Troopers and R2D2 along with Batman, Ironman and other characters from superhero movies and galaxies far, far away. 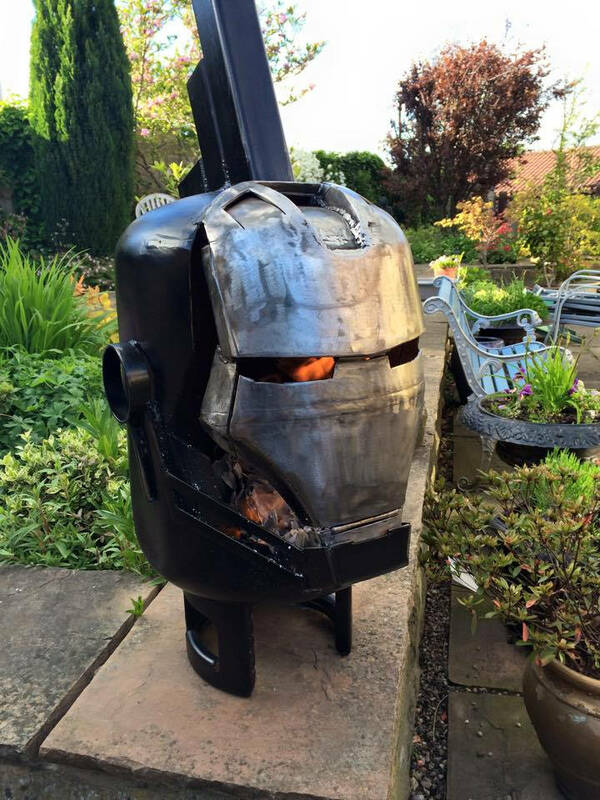 The artist says custom designs and commissioned work is welcome, so start thinking about the personality you’d like to be spewing fire in your backyard and place an order.